Why I'm Always Broke: It's happeing! 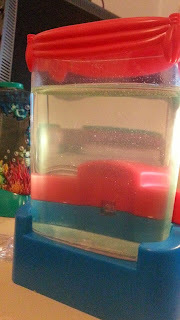 Ok ok, so after much impatient waiting and crying and begging and whatever else…the Sea Monkey tank has a singular little bro. I realise this photo is really unlikely to SHOW you the bro, but he’s there! I promise!! Also, I have developed an easy tank hunting technique - as was implemented in the above photo. 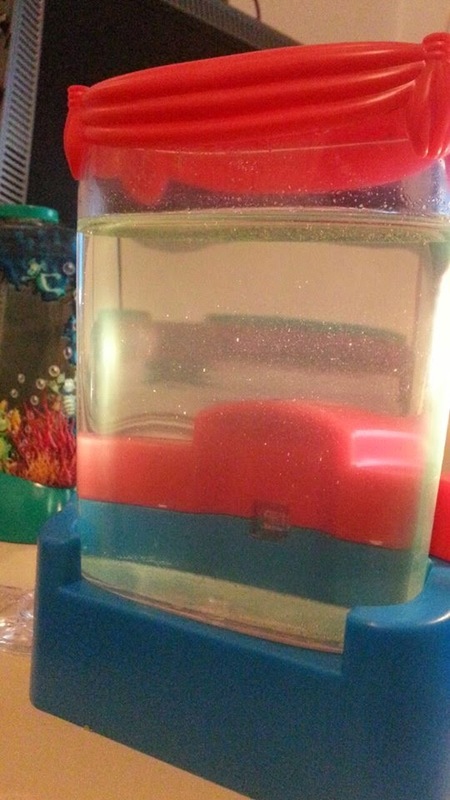 If you hold a torch into the side of the tank, you can light up the particles in the water and check out the detail! Nifty. EDIT: HUZZAH! Things are happening!! I now have 4 newly hatched little bros!